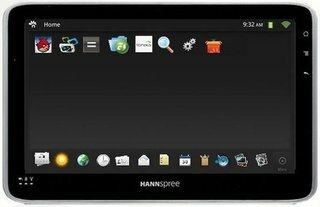 At £249, the Hannspree Hannspad is hardly an impulse buy, but it’s not the most expensive tablet out there either. The makers have done a decent job of disguising the fact it’s built on a smartphone platform - it certainly feels more like a proper tablet than some we’ve tried. However, it’s a curious hybrid of decent hardware and an unconvincing interface. The Hannspad's score doesn't indicate that we didn't like it, because we were actually quite taken with it in many ways. Good battery life, stunning media power and strong web browsing are just the sort of things a tablet should excel at. The score is a reflection of the fact that we just can't really recommend it for purchase. Not with an unresponsive touchscreen, a display with terrible viewing angles and irritating standby issues. It feels like a wasted opportunity. There's the making of a great tablet here, but it's been squandered. 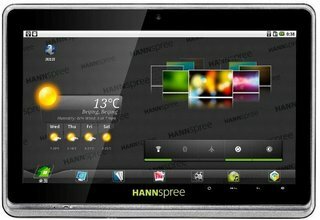 Visit the Hannspree Q&A Forum to get answers, ask a question or help others.